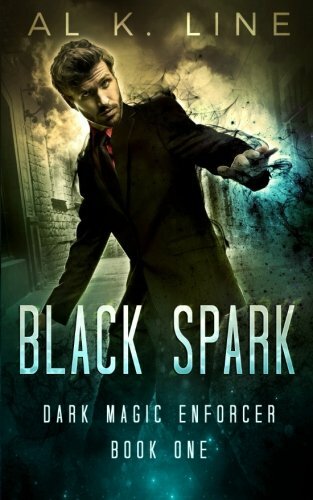 [PDF] Black Spark (Dark Magic Enforcer) (Volume 1) | Free eBooks Download - EBOOKEE! Posted on 2017-10-08, by luongquocchinh. Description: I watched in horror as dark magic sprang from my hand faster than an imp after your socks. I didnâ€™t know my name, let alone that I had such power. The man was dead. I panicked. I ran. How was I to know I was a dark magic enforcer, tasked with keeping magic hidden from the world? Yeah, total noob move, I know. But my memory is returning, and the Hidden have given me twenty-four hours to make amends. Cover it up. Finish the job I was given, or else. Failure isnâ€™t an option. Well, it is, but I like me, and I like being alive. Time is running out as I battle to make things right and exact revenge on those that took so much from me. Easier said than done as I deal with angry mages, bitey zombies, oversexed imps, creepy necromancers, and grumpy trolls and those are just my friends! all while trying to stop myself falling in love with my best friend, Kate, who just so happens to be a hot vampire. No comments for "[PDF] Black Spark (Dark Magic Enforcer) (Volume 1)".